The Wolf Mod is a 200W beast that packs a punch for thick clouds. This mod has a OLED display for pin point temperatures between (212 - 662F ). Buy the SnowWolf Large 200W box mod from big name vape pens and begin vaping with one of the newest vape pens available for 2016. 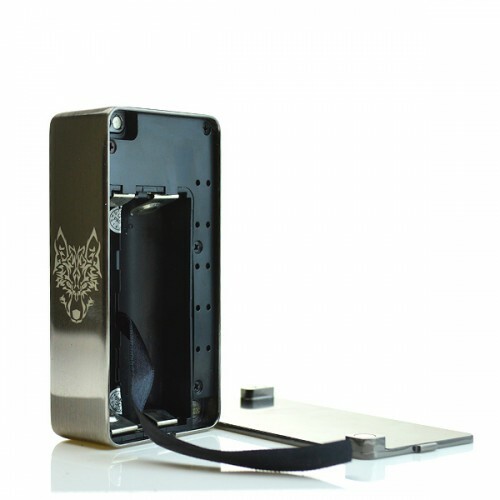 We have the wolf box mod priced competitively so you know you are getting the best deal. For a limited time only select a top of the line atomizer Tank or RDA with your purchase of a box mod! Stop wasting your time with the little vape pens and get your self a box mod for sale. These box mods are the next big thing you can get so much more vapor out of your mouth piece. You will be blowing huge clouds all day there's no doubt about that. The wolf 200W box mod is beast of a vaporizer. Once you find the right mouth piece for you it will be the hottest box mod around!